Use the built-in tools of the Windows system for handling the Remote Desktop connection. It is included while installing the Windows operating system. The feature permits to see another desktop screen and take control of another PC. Ensure that both systems are turned on and connected to a network with active internet access. Go to the Control Panel and type Remote in its search box. Right-click on Computer. Select the Properties-> Remote Settings options. Click Allow Remote Assistant Connections. Click the Select Users option. Add a new user account by clicking the Add option. Find the IP address of the target system, by navigating to the command prompt. Type ipconfig as a command to find the IP address of the system. Click System and Security. Select the Allow a program through Windows Firewall option. Click Change Settings. Select a check in the box next to the Remote Desktop. Click OK.
Open the Start menu on the system connecting to the target. 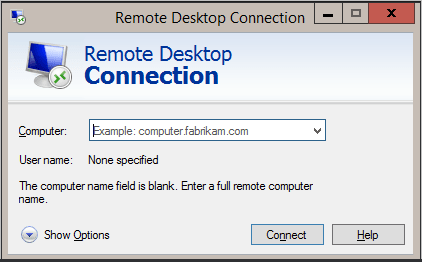 Type Remote Desktop in the search box. Type the IP address of the target system. Click Connect. Enter the credentials such as user name and password in the target system’s Remote Desktop Settings. Select OK. Log into the target system from your Windows 7 workstation. Use a Mac system as your remote desktop and the target system as Windows. 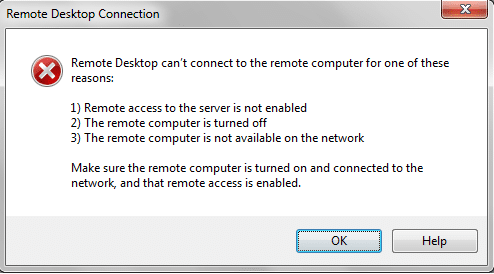 Setup a remote desktop access on your system. Activate the remote desktop. Navigate to the App store to download the Microsoft Remote Desktop. Click the Get option to download the app. After downloading, click Open. Choose New. Enter all the information listed on the PC while setting up the remote desktop assistant. Provide the IP address, connection name, and PC name for the remote desktop. The system needs all above credentials to access the Windows. If the system is not password protected, ; you will be unable to connect to it. Save the connection by pressing the red X button on the screen. See the new connection after saving it. Select the new connection and click Start to connect to the remote PC. A warning message displays on the screen. Ignore it and click Continue to start the connection. The desktop loads the full screen on to the Mac. Make changes to the connection by clicking Edit. Download and install the Remote Desktop Connection Manager on your Windows system. Select New from the File menu of the software. Choose a location to save the connection file. Right-click on the node in the tree and Add Server. Choose groups to use a large number of connections. Click on the created group to add a server. Enter the name and display name in the Add Server dialog box. Check if the Windows version supports to use the Remote desktop connection. Click the Start button on your Windows XP system. Press the Windows and R button simultaneously to open the command prompt. Type winver and click on it. Press Enter.Winver is supported on all versions of the operating systems. Type mstms on the run tab to open the Remote Desktop Connection. Choose the computer name you wish to connect to. Identify the IP address of the target system by either opening the ipconfig or navigating to the network connection. After typing the IP address, click Connect to start the connection to the target system. Use SecureShell to login to your Mac system from another system for remote login. Click the Apple menu. Select the System Preferences-> Sharing-> Sharing Preferences. Click Remote Login enables the secure FTP service for the Mac system. Choose the Add button option to choose the people on your network. Log in from another system. Open the terminal. Type the IP address and click Connect for remote setup. Download and install the Chrome Desktop app on your Windows system. Type chrome://apps in the address bar of Chrome browser and press Enter. Select the Chrome Remote Desktop option. Select Get Started under My computers. Enable the connection and type the password two times for verification. Click Yes to install the service. Enter the Google Account and type the PIN again. Activate the Remote Desktop Connection Port in Windows Firewall of the Remote system. Click the Start menu on your Windows computer. Click Control Panel. Type Firewall in the search field column. Click Firewalls from the list of results. Select the Windows Firewall option from the search results. Select the Allow a program or feature in the Windows Firewall. Click Change Settings. Select the box next to the Remote Desktop option under the Allowed Programs and features option. Press OK to store your changes. If the issue persists, move to the next step. Choose the Activate.